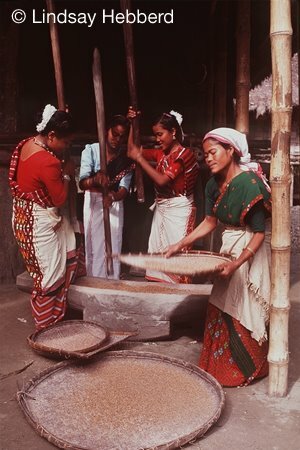 The main focus of this study is to analyze the process and impact of contact between a tribe with features of primitive organizations (Micro Level), regional Assamese culture with distinct language, policy and productive system (middle range or regional) and the great tradition and high culture (the macro level), the Indian traditional and culture represented through Hinduism mythology, beliefs, rituals and social organization. For the analysis of the influence of Hinduism among the Mishings, various aspects such as religious practices and social institutions have been considered. Moreover, the influence of the regional Assamese culture on their housing pattern, food habit, dress, language and in tools and implements are also considered for the discussion of acculturation among the Mishings in Assam. The aim of including all these aspects is to see the total process of culture change among the Mishings. As they came in contact with the Hinduism through regional culture, the other dominant group tried to apply the notions of purity and pollution (the caste system). They picked up the beliefs and myths and social organization of the great tradition of Hinduism. While keeping in mind the above, it is tried in this study to highlight the interrelationship between the three variable-acculturation, communication and development-in the contexts of the Mishings, a tribe in Assam. It is an attempt to see how two independent variables acculturation and communication have influenced the dependent variable development. Both the independent variables acculturation and communication are correlated with each other, without communication, acculturation is impossible and the continuity of the process of acculturation means the presence of communication in between two societies with different cultures. The development cannot be a reality in a society without the former variables. The author through the present study wants to fill up the gap of inadequacy by probing into the process of acculturation, communication and development among the Mishings,a major tribe of Assam. 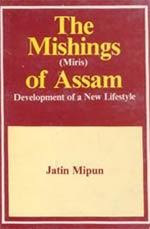 Dr. Jatin Mipun, who belongs to the Mishing tribe, did his M.A. and Ph.D. in Sociology from Dibrugarh University. Dr. Mipun has joined the Indian Police Service in 1983 and presently serving in Assam-Meghalaya Cadre. Earlier Dr. Mipun had served as a Lecturer District Research Officer under Government of Assam and as Extra Assistant Commissioner in Assam Civil Service. He writes poems and short stories in Assamese languages, besides research papers for learned journals.